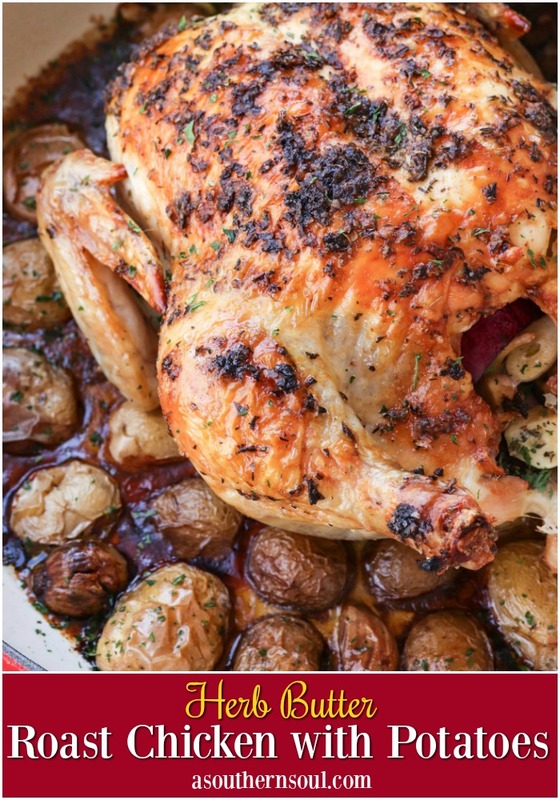 Chicken, slathered in butter flavored with herbs, then perfectly roasted on a bed of potatoes is something totally fantastic. 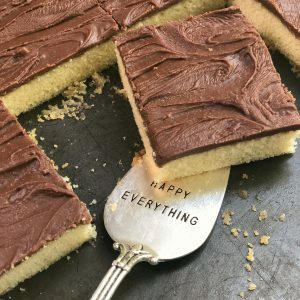 This simple recipe doesn’t have any fancy tricks and once you make it, you’ll understand why it’s something to brag about! I’ve been roasting chicken for years. I have several different recipes in my collection and I’m always on the lookout for new flavor combinations to try. There’s also many benefits to learning how to cook a whole chicken. It’s inexpensive, can feel several people and most of the time you’ve got left overs. All those things are winners in my book. You’ve also got what I call a “freebie” recipe. Once you’ve enjoyed your bird, you can use it to make your own stock in the Crock Pot. 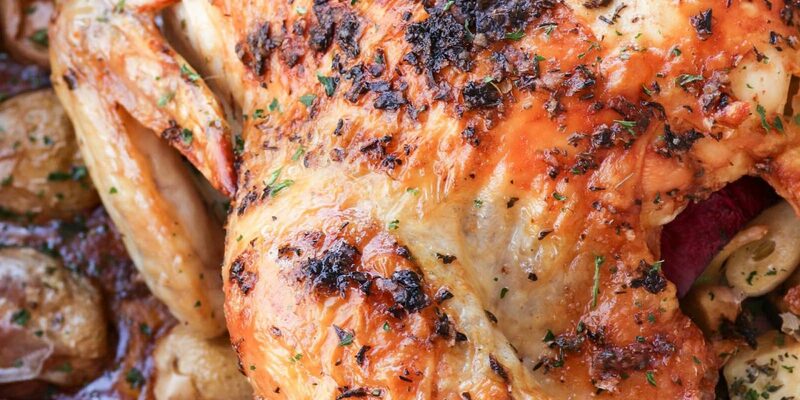 Learning how to perfectly roast a chicken might seem daunting but with a few simple steps, success is within reach. I promise! The key is to start with good quality meat, season appropriately and use the right cooking times. That’s it. Keep things simple and you’ll have a dish that turns out heavenly every single time. 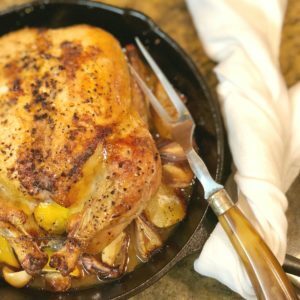 My most recent roast chicken dish adds a whole new twist to my collection of recipes with the addition of one of our favorite veggies. For Christmas, I received a new cast iron pot. 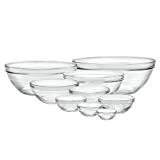 I was thrilled at my surprise and right away I started scheming about all the dishes I’d cook in it. 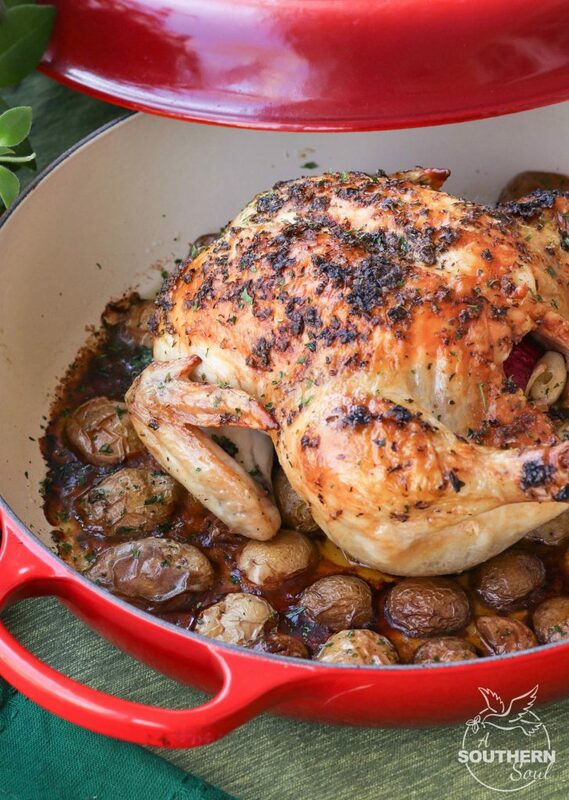 To christen my new pot, I decided to roast a chicken along with potatoes. I wanted the little spuds to be loaded with flavor with a crispy texture, so, I cut them in half and placed them, cut side down in the pan. Next, I took room temperature butter and loaded it with fresh herbs, salt and pepper. I slathered it on my chicken and placed it on top of the potatoes. Then with the addition of some garlic cloves, it was time to pop my dish in the oven. 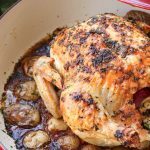 For this recipe, it takes approximately one hour and 20 minutes to cook for the 3 and a half chicken I used. 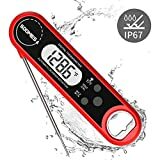 I always use an instant read thermometer to insure proper cooking time which is 165 degrees for chicken. The beautiful aroma of chicken roasting in the oven is something so amazing that’s it’s quite hard to put into words. I mean, when you’ve got butter, herbs and garlic involved then you just know something incredible is happening in your oven. 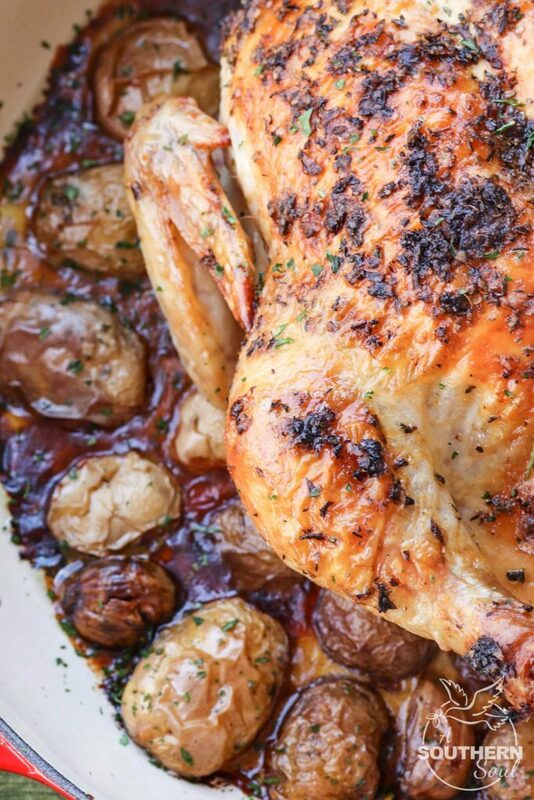 That’s what you get with a perfectly roasted chicken with potatoes. A recipe with simple ingredients that’s turned into something totally marvelous. Now, I think that’s something to brag about. Heat oven to 450 degrees. Place butter, salt, pepper, oregano, thyme and basil in a small bowl and mix together until smooth. Set aside. Drizzle olive oil in bottom of dutch oven or cast iron skillet. Layer potatoes, cut side down in bottom of pan. Season with salt and pepper. 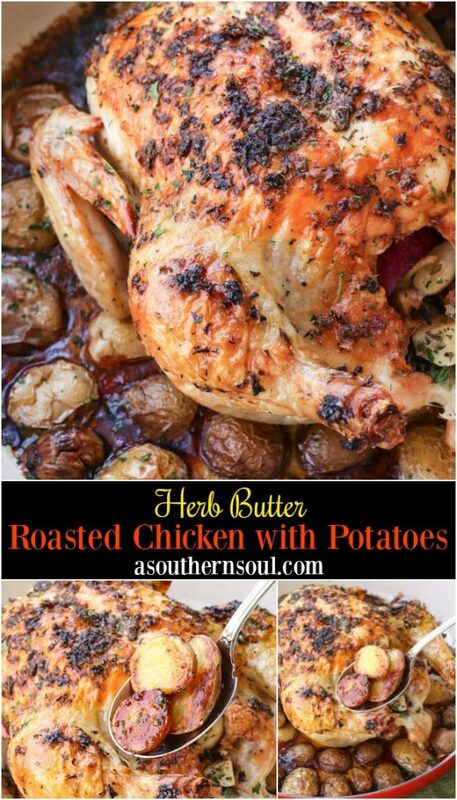 Place chicken on top of potatoes and spread herb butter over outside of bird. Insert garlic cloves into cavity of chicken. Place pot/skillet in oven. Set timer for 30 minutes. 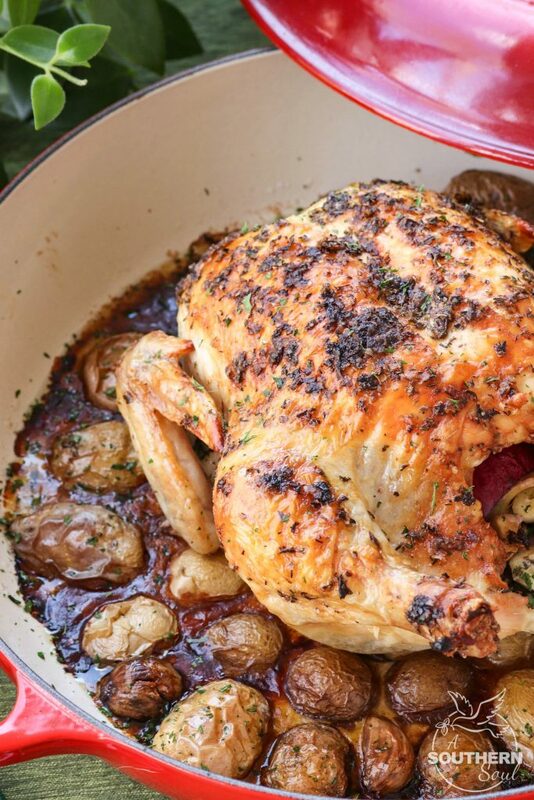 When timer goes off, turn oven down to 350 degrees continue cooking chicken for approximately 40 minute or until internal temperature reaches 165 degrees. Remove chicken from oven and tent with foil. Allow chicken to rest 15 minutes. To serve, carve chicken and place potatoes on serving plate. Drizzle with pan drippings. 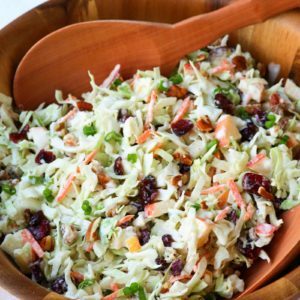 PIN the recipe to SAVE and FOLLOW A Southern Soul on Pinterest! 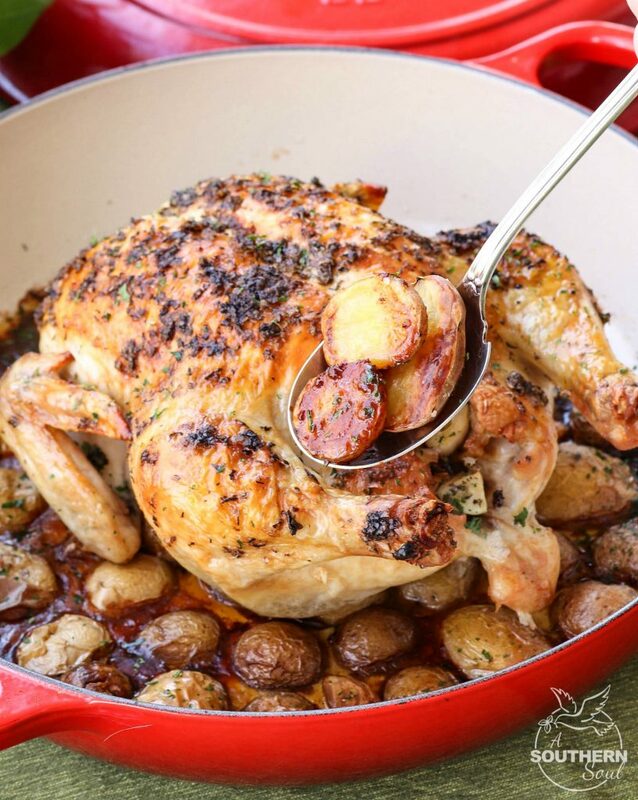 Do you bake the Herb Butter Chicken With Potatoes with the lid on? Hey Cheryl! I do not cover the chicken while it’s roasting. I put the lid on, slightly ajar to let the chicken rest when it comes out of the oven. Hope this helps! Thank you for your prompt reply. It does help. I never know if I should cover roasts in the oven.